Hamby Home(in)stead ...: Can't stand the mess?! We've had a few days of sunshine but the mornings have still been cold and wet, with frost. 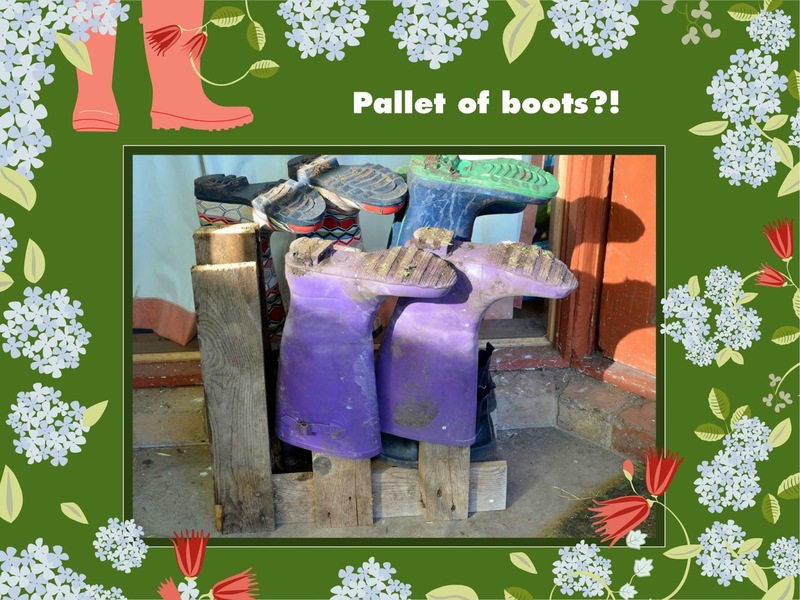 Our gumboots are certainly getting well-used! The problem is that the boots get mucky so are kicked off at the doorstep, which is becoming increasingly difficult to navigate. I've been pondering a solution and had thought to google "boot rack". Nick looked at some of the pics and said he could make something. 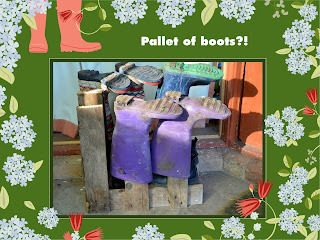 I was up at the woodpile though this morning and found a piece of pallet - so got Nick to cut it into two halves, which have been placed on end beside the doorway. It isn't perfect but it is serviceable - and it will be interesting to see if stands up to frequent use!